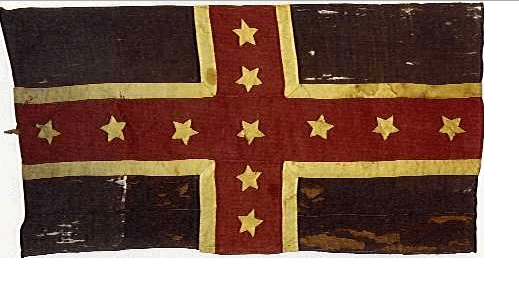 Battle Flag of the Army of Tennessee, the main CSA force in the western theater of the Civil War. Tom Hall, an attorney who recently completed a film about the history of the Confederate flag in South Carolina, addressed the rally, remarking that the flag had come to prominence as a way for Southern politicians in the nineteen-fifties to cynically play on the interests of poor whites. (In fact, the Confederate flag we have known since then is not the Confederacy’s flag at all but rather one used by Robert E. Lee’s Army of Northern Virginia.) Jim Lane, a fifty-year-old white native South Carolinian who attended the protest with his partner, Justin Daggett, said that the flag remained a gesture toward the prejudices of a portion of the populace stuck in the past. “Anytime there’s a symbol of hate, a symbol of discrimination, that is used against one group of people, it has no place on the State House grounds,” he said. I apologize to Mr. Cobb for calling him out, but he unfortunately is the straw that broke the camel’s back on this issue for me. I’ve read variations of this remark from a lot of white folks trying to justify the continued use of this flag. When I was looking for information on Tom Hall, the filmmaker mentioned in the above graf, I came across his article. That means we’ve got historic innacuracy and misunderstanding on both sides of the issue, so clarification is in order. Saying that a “battle flag” is not a flag of a nation is preposterous. Wars don’t pop up out of thin air; governments put troops into the field. Those troops are “diplomacy by other means” as von Clausewitz said. 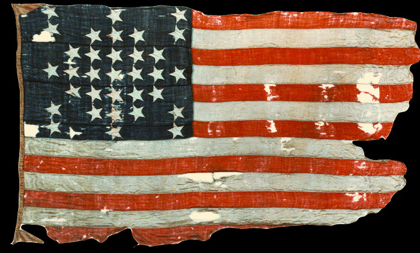 In the American Civil War, both sides authorized the use of “battle flags” by their troops. The primary, practical, use of a war flag or standard is to identify your position to others. This sounds counter intuitive in the context of modern warfare, but wars were fought differently in the 19th Century. Units needed to know where to re-group after a forward movement, or a cavalry charge. Artillery units needed to know where not to fire their guns, lest they kill their comrades by mistake. Flag of the 1st and 3rd Florida Regiment. 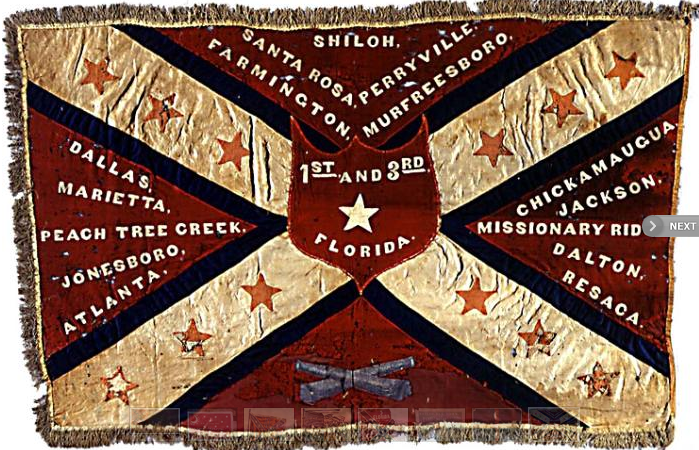 Flag of the 1st/3rd Florida Infantry Regiment. It’s the “Confederate Battle Flag” pattern, with battle honors of this specific regiment. The color scheme is a variant of the classic battle flag. This was common when a regiment would “personalize” their flag. When South Carolina troops, led by Brigadier General PGT Beauregard of New Orleans, began shelling Fort Sumter in Charleston harbor, the fort’s garrison flew a larger version of this battle flag. After two days of bombardment, that flag was too damaged, so the garrison raised this smaller flag. Coastal forts and other installations where there was often a lot of bad weather would take down the larger flags, raising a “storm flag” that would be less expensive to replace if damaged. On a side note regarding Fort Sumter: The flag hoisted by the rebels after the Union garrison surrendered was a variant of the palmetto tree flags often used by South Carolinians. They used a state-themed flag at this time, because the Army of Northern Virginia had not yet been formed. 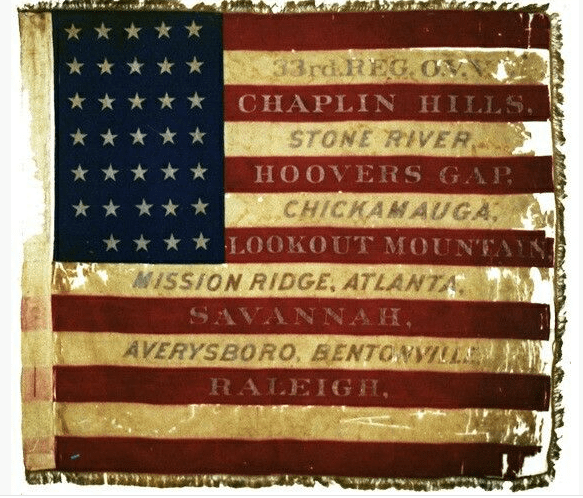 Flag of the Second Arkansas Field Battery, also known as the Dallas Battery, an artillery unit of the army of the CSA. Notice that, since this unit fought in the western theater of the war, their flag is a variant of the “Stars and Bars,” the flag Mr. Cobb and other writers usually recognize as the “official” flag of the Confederate government. Cavalry regiments often carried a number of flags. Individual squadrons would have their own “guidons”, usually swallow-tail flags. The regiment as a whole would display both national and regimental standards. In the case of the 25th New York, their national standard was the Stars and Stripes, and the regimental flag was the blue standard above. 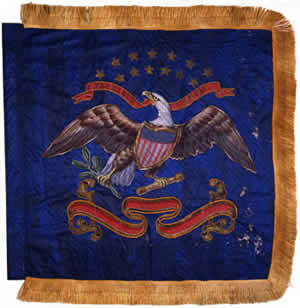 Union regiments often added “battle honors” to the Stars and Stripes. This is a tradition taken from the United Kingdom, where regiments list the battles in which they fought on the Union Jack. The bottom line here: Writers, do your homework. Please don’t write things that are patently preposterous. Thousands of men died under these banners. They didn’t die for abstract concepts, but rather the governments that sent them out to fight against each other. Battle flags don’t exist in a vacuum.